The most awaited run in Manila is back with much bigger event! Gatorade Run 11*22 2016 online registration officially opens in an intimate media gathering at F1 Hotel. The sequel to last year’s successful 11K and 22K runs will be held on November 27 at SM Mall of Asia. 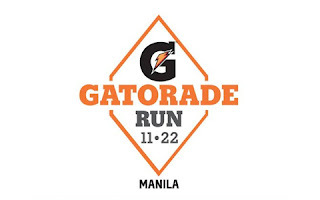 Over six thousand runners took part in the inaugural Gatorade Run, and both Dela Cruz and Atayde are expecting at least eight thousand this year. This year's run promises to be more exciting with a focus on the importance of pre- and post-run hydration. The overflowing Gatorade hydration stations will provide hydration for racers. 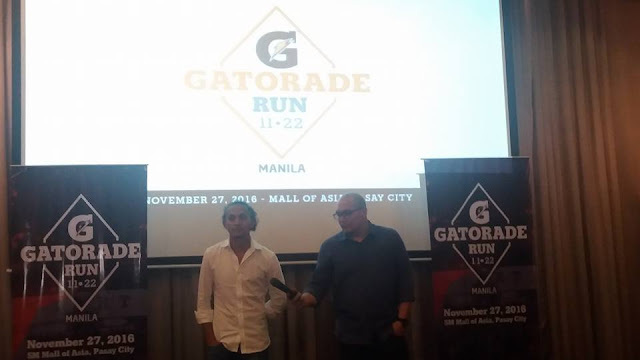 Pepsico Marketing Manager for Hydration has this to say, "Gatorade is a glibal leader in sports performance and we'll definitely bting that expertise to the run. Learning the benefits of proper hydration is crucial for runners and we look forward to reinforcing that message through the Gatorade Run. We're excited to show runners that NOTHING BEATS GATORADE." Coach Rio Dela Cruz shared that runners will not have to endure the challenge of going up and down the two flyovers along Roxas Boulevard since the race map is virtually at flatland with Gil Puyat Avenue serving as the main road for the 22K run and the CCP Complex serving as the main area for the 11K run. The race will start and end at the SM Mall of Asia Grounds in Pasay like the preceeding year. He added that those who are still racing by the cutoff time could be escorted by a “sweeper bus” to the finish line. 22K finishers will get a medal each alongside the finisher shirts as an added motivation. Online registration is now ongoing at runrio.com, while offline registration begins next week at selected Adidas stores.